We are so lucky to have a mother in our life, no matter what the hurdle is, she always by hook or crook finds a jugaad that nothing less than a magic. Somewhere, God took time to made us but surely not more than he took to make our desi moms. Do you know what He spent the most time on? 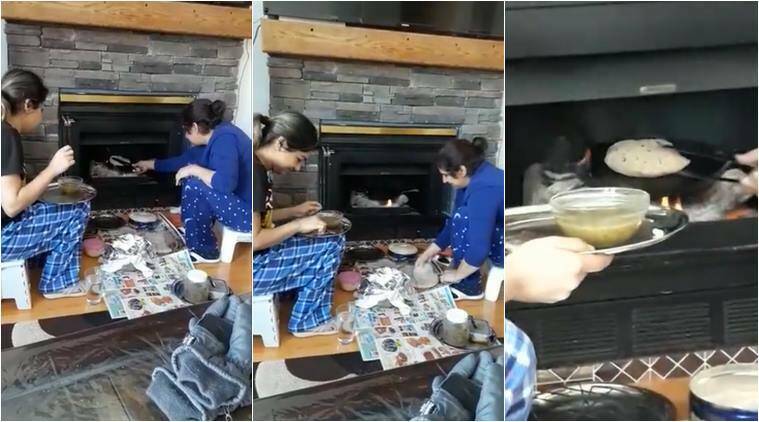 A video of a desi mom cooking rotis at a fireplace in Canada is rolling over the internet and I am sure it’s something you don’t wanna miss. This video is shared by Edmonton Vich Punjabis, the video features a Punjabi family who tries to make the most of the time and it is the best jugaad we have seen till date which even shows no one, literally means no one can beat Indian moms in making jugaads. However, this video is going viral and has already reached 144K views in a day. I know you are finding it interesting and thinking about your mom’s jugaad? Aren’t you?